Sculptura, or, The History and Art of Chalcography and Engraving in Copper. When Prince Rupert returned to England at the Restoration in 1660 he brought with him the new art of mezzotint, which he demonstrated to the members of the Royal Society, including John Evelyn. In 1662 Evelyn produced this treatise on printmaking which contains a small mezzotint by Prince Rupert known as the Little Executioner: the first mezzotint to be published in England. Although it is now known that Prince Rupert did not invent the art of mezzotint, as Evelyn claimed, he not only introduced it to England, but also invented the mezzotint rocker: a wide curved tool with teeth which allows half-tones to be created. 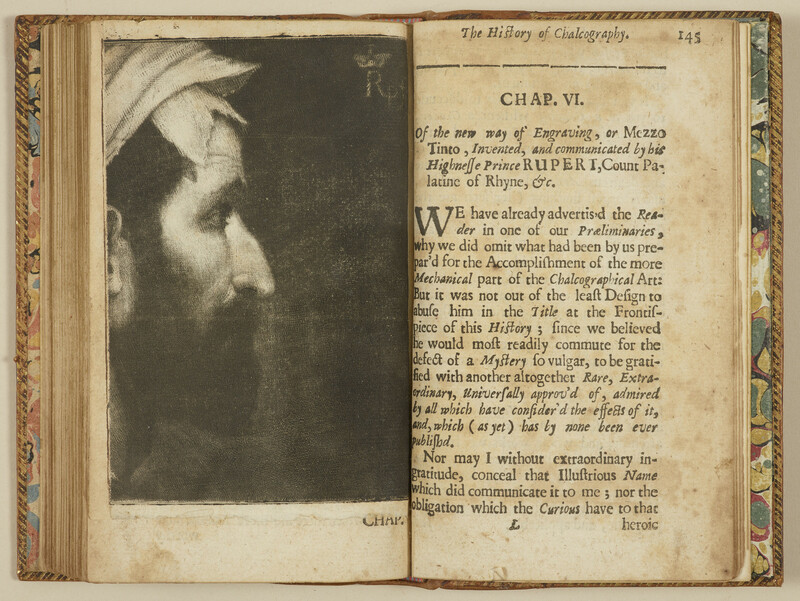 Evelyn's publication formed part of a project to compile a history of trades, as recommended by the Royal Society's muse, Francis Bacon.